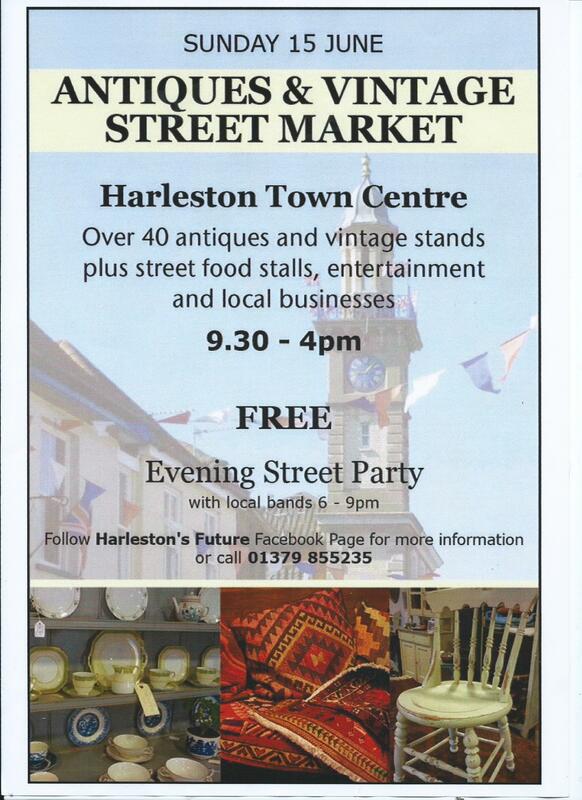 Harleston’s 1st Antique & Vintage Street Market! 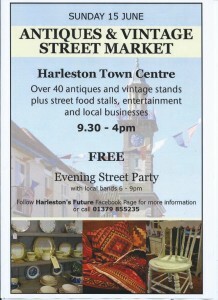 Just thought I’d submit a post about Harleston’s 1st Antiques and Vintage Street Market coming up in a few weeks time. It’s going to be amazing, with numerous stalls to look at, street food and drink, plus entertainment to take us in to the evening! Cornucopia will open the whole time with loads going on inside and out! We’re all really excited and hope to see you there!